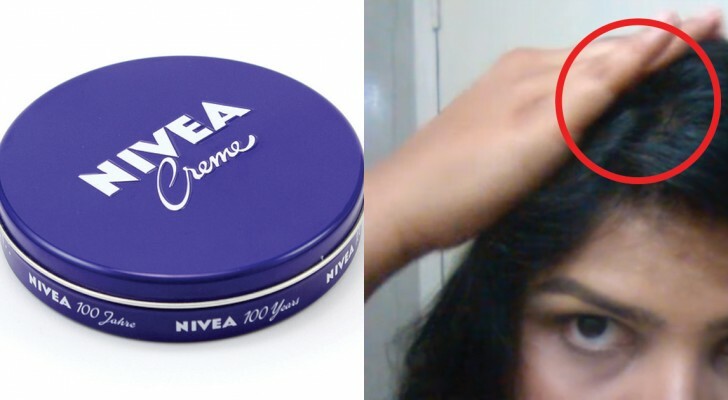 More NIVEA CREAM hacks?! Yes, discover them now! Maybe it is one of those products that we seem to have always had before our eyes, and almost surely each of us has underestimated its uses. Basically, it is a cream used to moisturize dry skin deep down, both the body and the face, thanks to its glycerine content. It has been on the market for several decades, and those who use it have never ceased to be satisfied. We bet that you too have a jar of Nivea, and that is why we want to let everyone know all the uses for this cream and that it can be used not just for skin beauty! Hair cream: You cannot get your hair to hold a hairstyle, but you want to avoid a shiny effect and drying gels and hairspray? Apply a dab of Nivea cream, just enough to feel the cream on the tips of your fingers, and then spread it where it is needed. Excellent for separating hair to make a perfect side part! Cracked Feet: If you have not taken good care of your feet in the past, now you may have ended up with calluses and dry cracked heels. To eliminate these problems just apply every night before going to sleep Nivea cream where needed. You will see the results already visible on the first day! Severely cracked heels and feet: If the remedy of applying Nivea cream every night to your feet has not brought any benefit, then you need something more intense. Mix Nivea cream with some Bepanthenol soothing cream and massage. Wear a pair of socks overnight. Make-up Remover: Many women use it to easily remove makeup from their face. Put a little amount on a soft cotton diskette, then thoroughly wash your face with hot water. You will not need any other specific product! Anti-aging cream: Do you want to prevent crow's feet or increase the effect of some special cream? Apply Nivea around the eyes every night before going to sleep. Dry elbows and knees: If these parts of your body are dry and rough then the remedy is to apply Nivea several times a day and massage until completely absorbed. Stretch marks: To avoid unsightly stretch marks due to pregnancy apply Nivea cream on your hips and breasts. Moisturize your face: If you have dry facial skin, red, and full of imperfections, perhaps it could be due to the fact that you have never used a good moisturizer. If that is the case, then Nivea cream was made for you! Use it before applying makeup and before going to sleep. 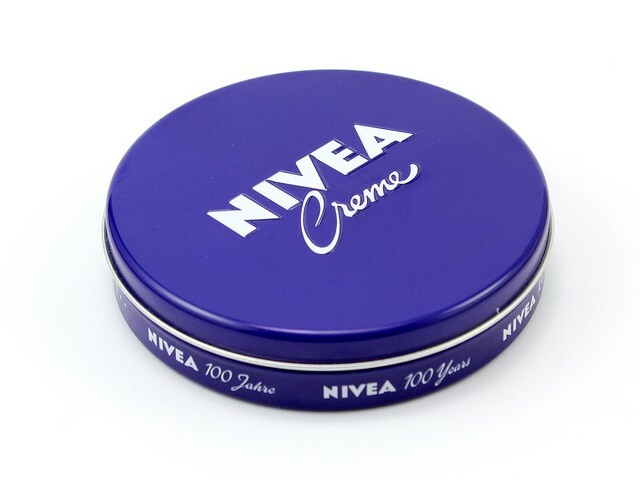 Chapped lips: In winter, a jar of Nivea cream should never be missing from your handbag! It is a cure for chapped lips! Cuticles: There are many creams that have only one function which is to moisturize nail cuticles. If you do not want or need to buy one specific product, then Nivea cream is the perfect solution. Sunburn: If you have exaggerated and stayed too long under the sun at the beach, then applying Nivea cream on the affected areas will bring immediate relief. Burns: Did you forget to use pot holders when you picked up a hot pan and you burnt the tips of your fingers? If it is not a serious burn, just apply some Nivea cream immediately to avoid the appearance of blisters. Dermatitis Treatment: In some cases, Nivea cream can help to combat dermatitis. Try applying some cream where it is needed to see if it also works for you! Dark circles: If you want to mask the dark circles under your eyes caused by fatigue, then apply Nivea cream before going to bed. You will wake up with a relaxed and luminous face! 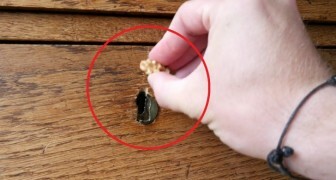 Rub a walnut on a piece of wooden furniture --- the result is impressive! 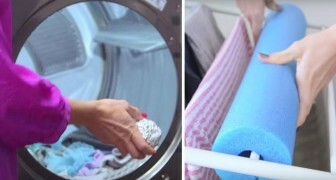 Take the pain out of doing your laundry! 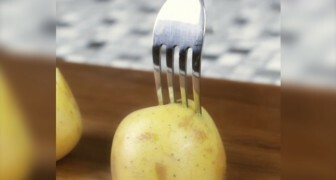 Stick a fork in half of a raw potato --- here is a useful BBQ trick! Ten essential apple cider vinegar hacks!